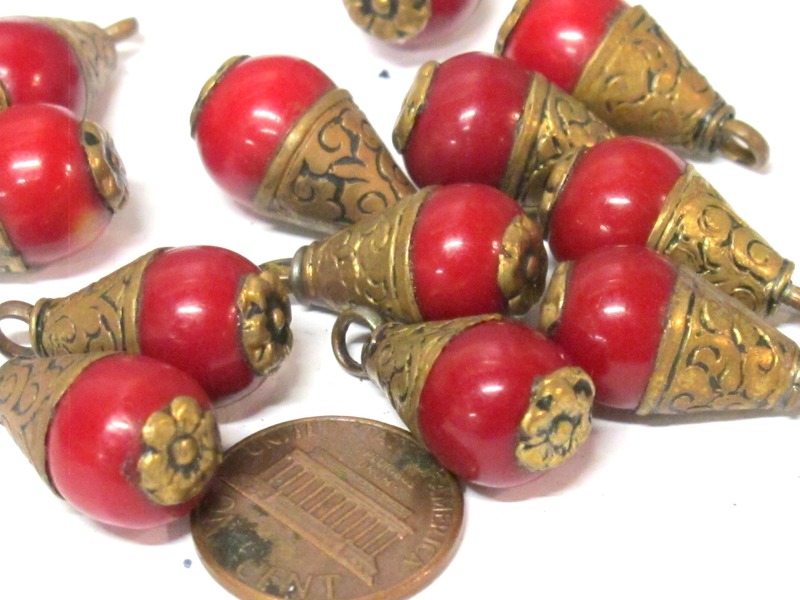 This listing is for 1 pendant. 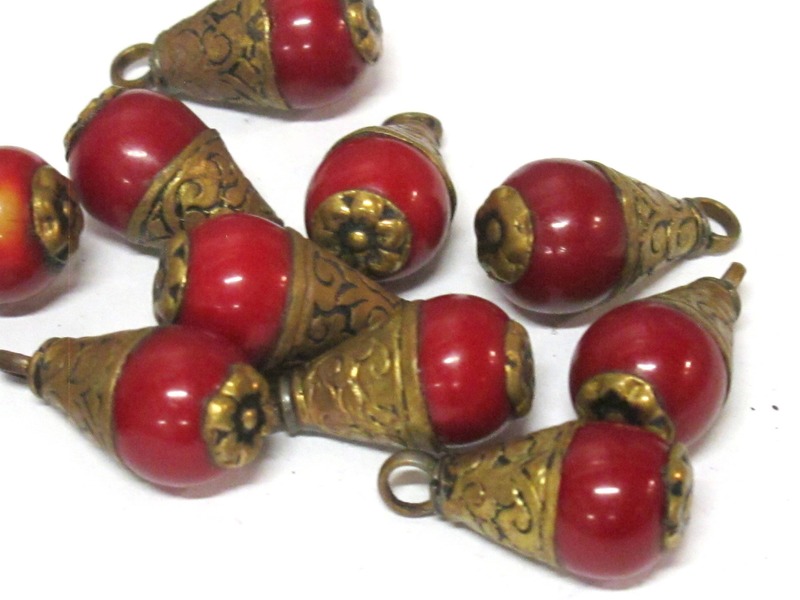 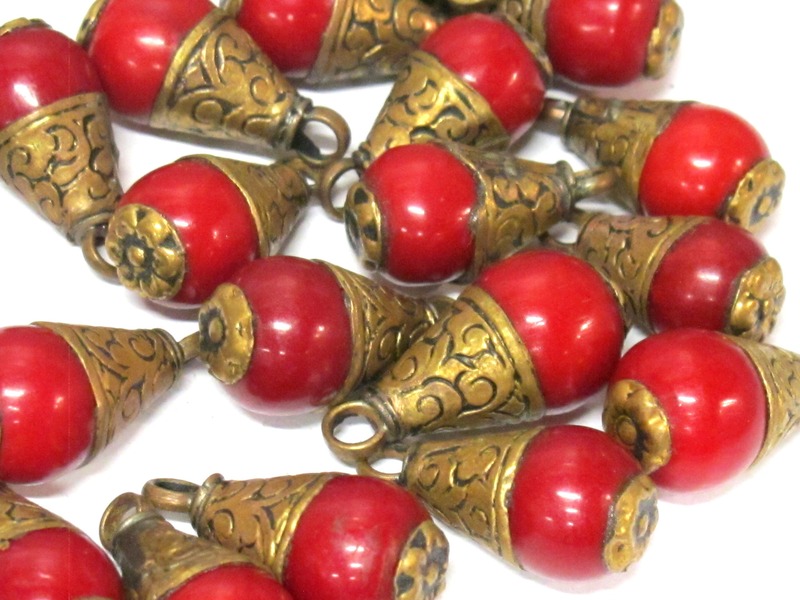 Tibetan brass capped red color resin small size pendant with floral design on bail. 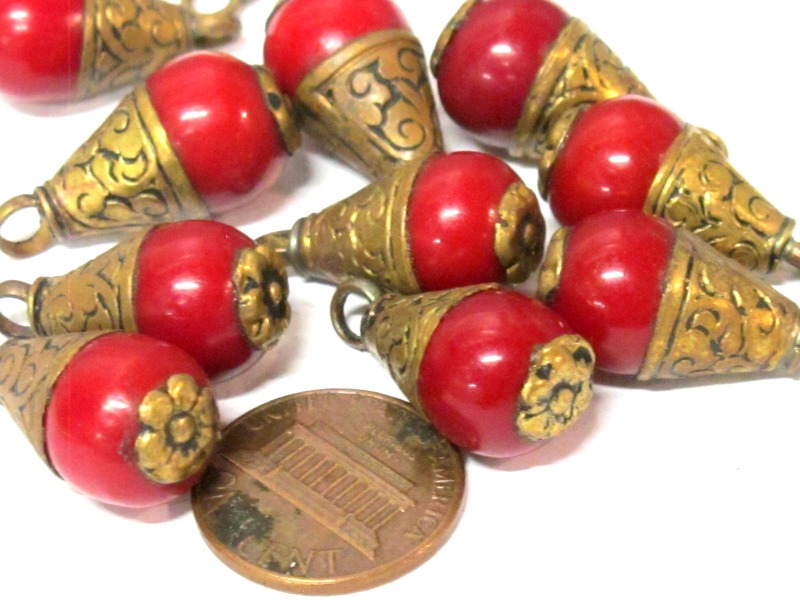 Since these are handmade from there will be slight variations between each piece.